Super Mario Maker Review - Best Mario Ever Made? 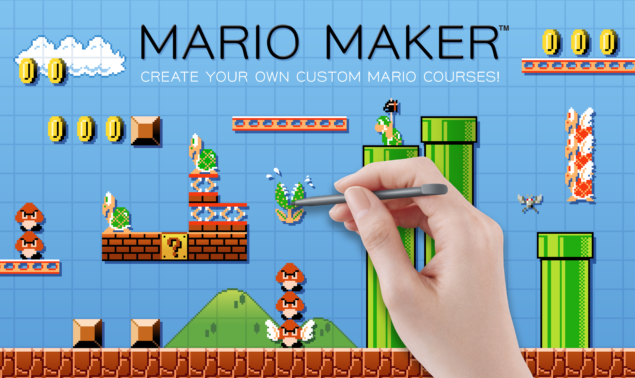 Super Mario Maker Review – Best Mario Ever Made? Review copy provided by Nintendo. So, Super Mario has turned 30. The video game character that many of us remember from our childhoods is now three decades old, making anyone that remembers the launch of the NES feel very old indeed. Mario is classic, iconic, the platform genre as a whole was basically invented by the small mustached man and his red cap; now, Nintendo is literally offering you potentially infinite Mario stages, and more importantly, the ability to create them yourself, like Picasso taking cubism to strange new places. 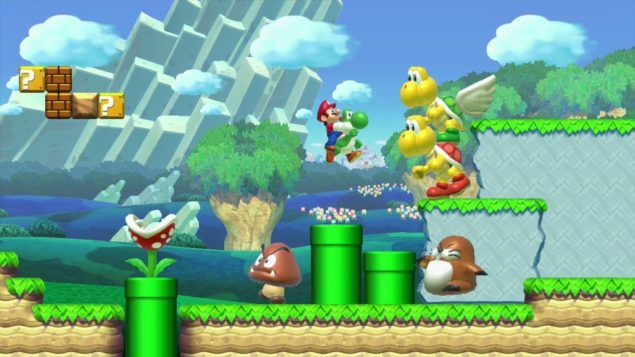 Super Mario Maker is here and it’s essential for all Wii U owners. Anyone that has ever played a 2D Mario game, or even a 2D platformer, already knows what to expect here. Mario starts over at the left of the stage, and his goal is to the right of the stage, with the space in between filled with anything and everything you want. Think floors are too mainstream? No problem, get rid of them! Think power ups make things too easy? Forget those! Want to have four Bowsers blow fire at you whilst you sprint to the finish line past Piranha Plants, Hammers Bros. and giant Goombas? Well, yeah, that’s all totally possible. As of writing this review, Super Mario Maker has been out little under a week and the creativity pouring out from the community is both genius and a little disheartening at the same time. On the one hand, you literally have more Mario stages than you can possibly play, offering a huge variety of challenges. On the other hand, some of these stages aren’t actually fun to play. It seems obvious, but it might be an oversight Nintendo live to regret – while the game eases you into creating Mario stages, it doesn’t teach you how to ensure that they are fun. 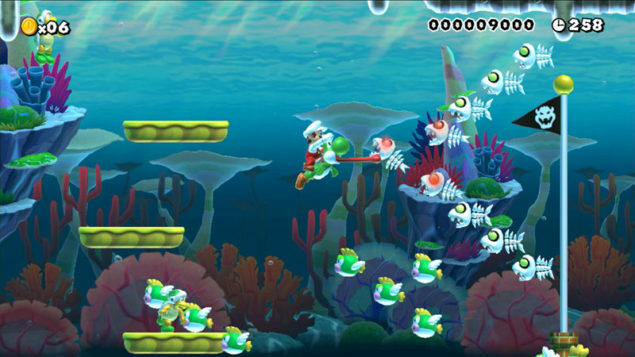 The sample stages that are included in the game do a good job of showing you how different tools and obstacles can be placed, but do nothing to teach the player what makes a fun Mario level. As a result, much of the player-created content so far is a bit of a mess, with random bits and pieces thrown about. Either that or they’re “auto” courses which pilot Mario to the goal without you pressing a single button. Which is great to watch, just not all that great to play. This could’ve probably been avoided if Nintendo had thought ahead and actually streamlined the process of finding and sharing your stages. At the moment the only way to find a specific stage is to manually enter a long stage ID code which, in an age of QR codes, seems insane. Another feature that has been tossed to the wayside is simply to see the creations of people on your Wii U Friends List. You simply cannot do it. Why, Nintendo, is there not a section for me to browse courses my friends have made? It seems insane to leave out this obvious feature. Miiverse is another missed opportunity, where your friends can post stage IDs but you cannot simply click their ID to be taken to the stage. Instead, you should make a note of it and, once again, manually enter it into the game. This process is lengthy and frankly ridiculous in 2015. Onto actually creating the stages, though, creative types among you will have plenty of fun with this. The possibilities are potentially limitless – I recreated parts of familiar stages I was a fan of and created entirely new stages, with mad star dashes through coins and enemies, difficult wall-jump sections, easy-to-miss secrets and much more. The tools are easy to get to grips with and fun to implement – all of the tools at your disposal are familiar Mario elements such as blocks, bricks, coins, power ups, ground, platforms you can pass through, moving platforms, on rail platforms… The list really does go on. And the way you can change these tools in ways that Nintendo has never actually done before makes Super Mario Maker the ultimate Mario game. Stacking enemies, having them pop out of item blocks, having enemies rain from the sky, creating mazes… It’s all possible and it’s honestly fantastic. Indeed, creating and then playing my own stages was where most of my enjoyment came from, seeing something that I, initially, had no intention of actually finishing become a giant, sprawling level with multiple paths is incredibly fun and rewarding. I only wish my Wii U friends didn’t have to enter a long stage ID just so they could actually see what I’ve created. The tools themselves get unlocked over time – we played the game with a patch that unlocked stage creation tools quicker than the pre-release version of the game, and yet, even with the faster roll out of tools there were still things I wanted to incorporate into my stages that I couldn’t due to not having unlocked them yet. This feels silly when it’s things like, being able to go through the pipes. 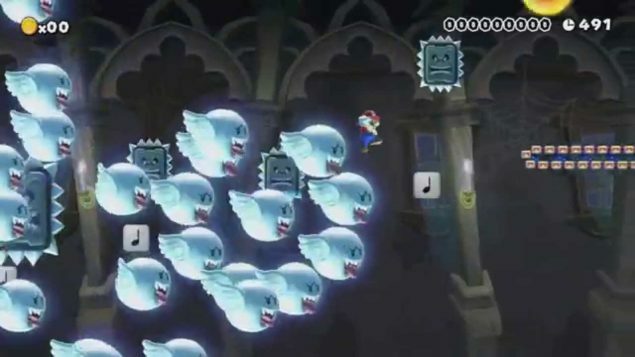 It’s a Mario staple, and yet, it’s one of the very last things you unlock. That seems insane, and feels insane while playing it. And yet, once they’re unlocked, those frustrations are gone forever. On the one hand, it’s a great way of making the player get used to the tools that exist to them, on the other hand, more experienced Mario players will want more straight away. Of course, even if you’re not creative there’s still plenty to love – popular stages crop up in the Course World, where you can pick and choose levels to try. 100 Mario and 10 Mario Challenges exist giving you a set number of lives to complete a set number of stages – which range between fairly simple to teeth-grindingly difficult, although these challenges just feel like side-attractions – as in, not the main draw, not the meat and potatoes of the game. Which is exactly the problem I have with Super Mario Maker – there’s no main meat and potatoes. Level creators in games are typically not the main draw, and this is one of the only times I can think of a game which is primarily a level creator. I would say that the game is lacking content, but realistically, it’s nothing but content. You can play unique stages styled after Super Mario Bros., Super Mario Bros. 3, Super Mario World and New Super Mario Bros. – games all generations will have played at some point, making this feel like the most complete Mario package since Super Mario All-Stars – even better than that, in fact. While there are a few things that frustrate me about Super Mario Maker I cannot deny how genius it is. It has the potential to be the best 2D Mario game ever made, as long as you can find the stages you like.